MONDAY, March 18, 2019 (HealthDay News) — The prevalence of high-grade dysplasia (HGD) and esophageal adenocarcinoma (EAC) has significantly increased since 1995 in patients with Barrett esophagus (BE), according to a study published in the February issue of Gastrointestinal Endoscopy. Madhav Desai, M.D., M.P.H., from the University of Kansas Medical Center in Kansas City, and colleagues assessed the prevalence patterns of BE-associated dysplasia on index endoscopy during 1990 to 2016. Index endoscopy findings were classified as no dysplasia (NDBE), low-grade dysplasia (LGD), HGD, and EAC and were extracted per year of index endoscopy. Based on the 3,643 included patients, the researchers found that 70.1 percent had NDBE, 11.5 percent had LGD, 5.4 percent had HGD, and 5.1 percent had EAC. 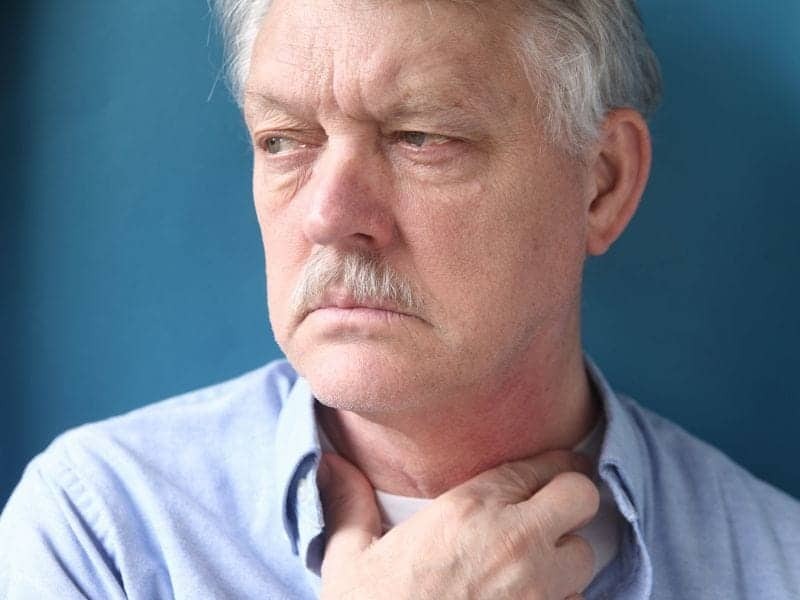 There was an increase in the mean age of patients with BE (51.7 versus 62.6 years) over time, as well as an increase in the proportion of men (84 percent versus 92.6 percent) diagnosed with BE. However, there was a decrease in the mean BE length (4.4 cm versus 2.9 cm) from 1990-1994 to 2010-2016. From 1990 to 2016, the presence of LGD on index endoscopy remained stable, but there was a significant increase in the diagnosis of HGD (148 percent), EAC (112 percent), and HGD/EAC on index endoscopy. “This highlights the importance of a meticulous inspection during screening endoscopy in patients with BE in light of the knowledge that prevalent EAC cases contribute to most EACs,” the authors write. One author disclosed financial ties to CDX and Interscope.